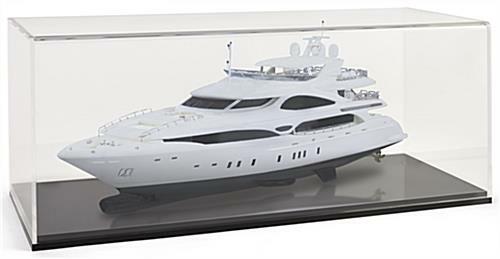 These Model Ship Cases Are Perfect for Custom Display of Larger Models! 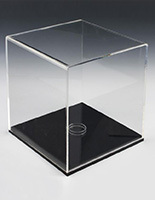 Generous Sized Clear Acrylic Covers Lift Off Easily from Black Base for Access! 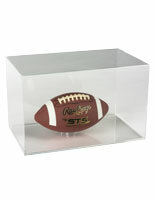 Order Model Ship Cases Online and Get Wholesale Pricing! 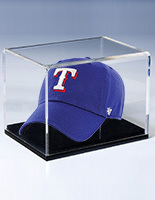 These non-lockable model ship cases are perfect for displaying collectible items at home, showcasing special awards in a school, or even historical memorabilia in a library. 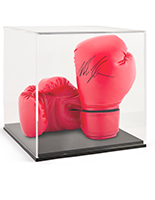 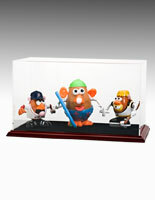 These items could also be used to showcase new merchandise or limited edition figurines in hobby stores. 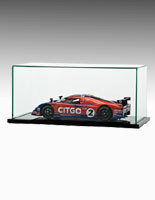 These countertop collectible displays, model ship cases that are affordably priced feature a lift-up top. 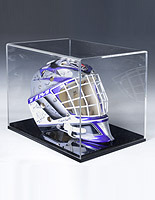 The entire top is designed to lift off the black base, for easy access to the displayed items. 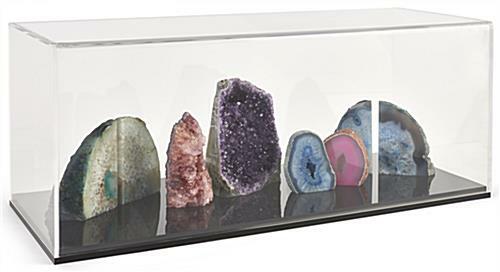 A removable ring is included with each of these countertop showcases to keep any round or uneven items in place while on display.